G-5 & GC-1 V-Guitars – What’s the Difference? Roland is in the guitar business? How did that happen? Actually it’s not exactly new, but this time, it’s very different. 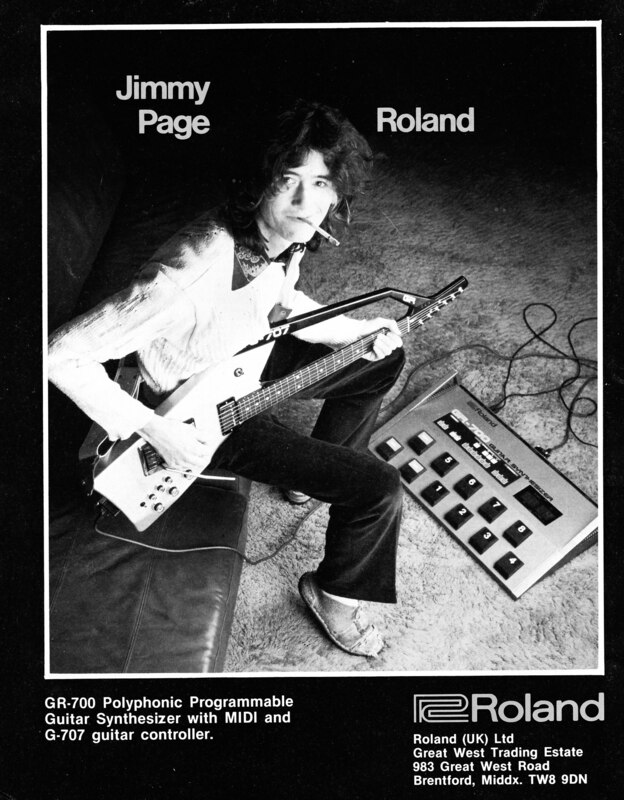 Back in the day, there were Roland branded guitars made to be used with guitar synths, including an infamous Jetson’s looking one called a G-707. 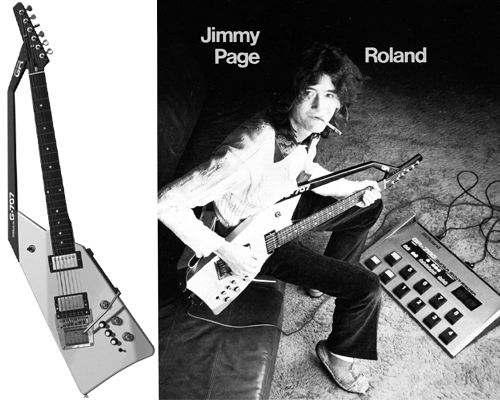 These were made for Roland in an OEM factory in Japan back in the day, and they were so striking that players like Jimmy Page actually did ads for them. But that was then. 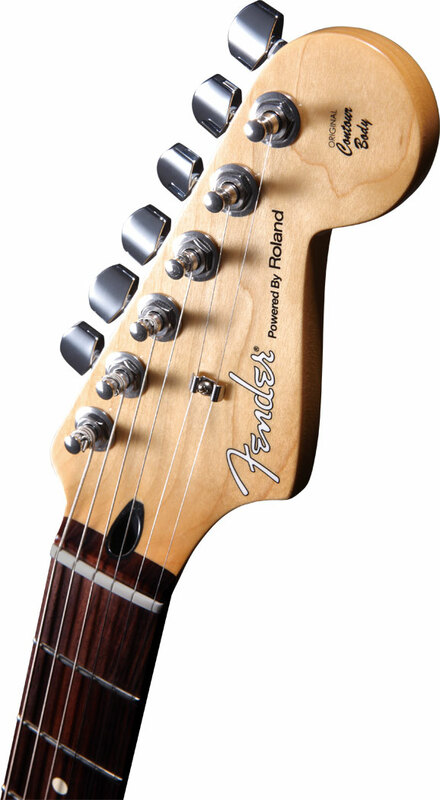 Roland’s venture into guitars is in partnership with non-other than Fender and is based on the most iconic and popular guitar in the world, the one and only Fender Stratocaster. There are two types: the G-5, and the GC-1, and they are both incredible. These two guitars share some basic features. 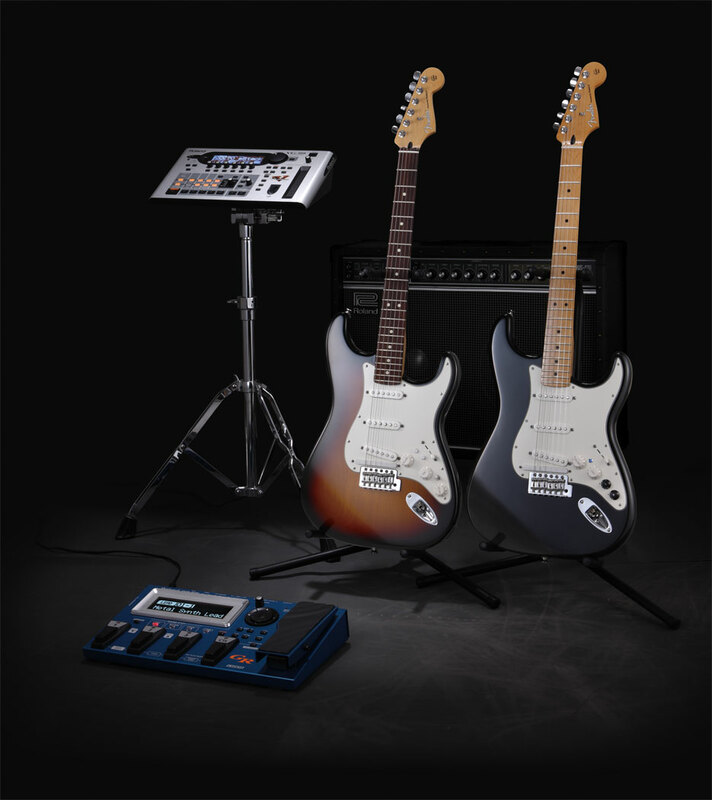 They both start with the same unique instrument: a “hybrid” Strat. 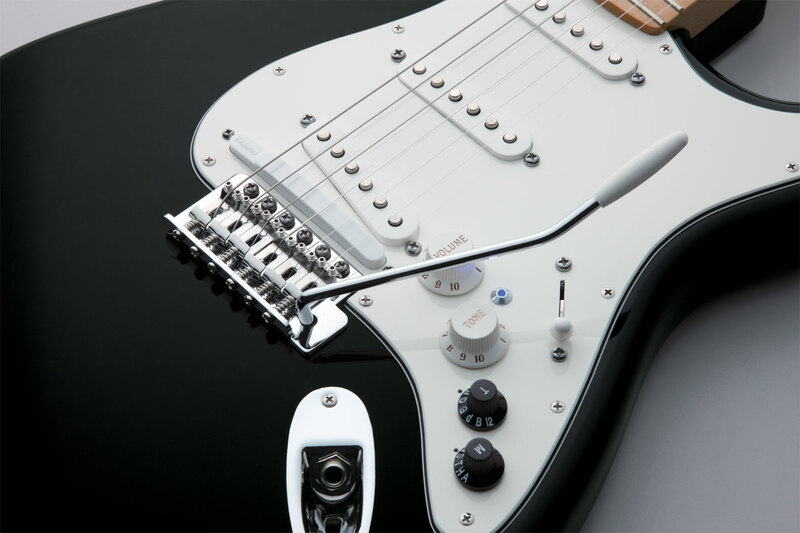 It’s mostly made from American Standard Strat parts: the alder body, 22-fret neck, frets, and tuning keys are the same ones found on every US Standard. The pickups and bridge are of the vintage type found on old Strats, and now used in Mexican standard Strats, so it’s a hybrid. They come in two cool colors: a hand-painted three tone sunburst with a rosewood fingerboard, and black with a maple fingerboard. Here is where they differ, and also the reasons why they say “Powered by Roland” on the headstock: the G-5 has a sound engine built into the guitar, and what it does is awesome. See these two black knobs (see picture on the left)? The bottom one allows the G-5 to sound like other completely different guitars. A G-5 is like a trunk full of guitars in one really nice Strat. It can be a Tele, a Paul with vintage humbuckers, a Gibson L4 jazzbox, and four different types of acoustic guitars: a Martin dreadnaught, a really nice nylon string, a Dobro, and even a banjo. Just turn the knob, and your G-5 sounds like a totally different guitar. The other knob completes the magic: it lets the G-5 produce alternate tunings electronically, so if you want to be in drop-D, it’s just a knob click away, instead of changing entire guitars or holding up the show while you try get your E string down to D. It also gives you open G, great for slide or playing almost any Stones song, a killer 12-string setting by actually adding 6 extra virtual strings, and more. You want one guitar that does the work of 20? The G-5 is your axe. Here is a GC-1: notice it has some different controls from what typical Strats have. 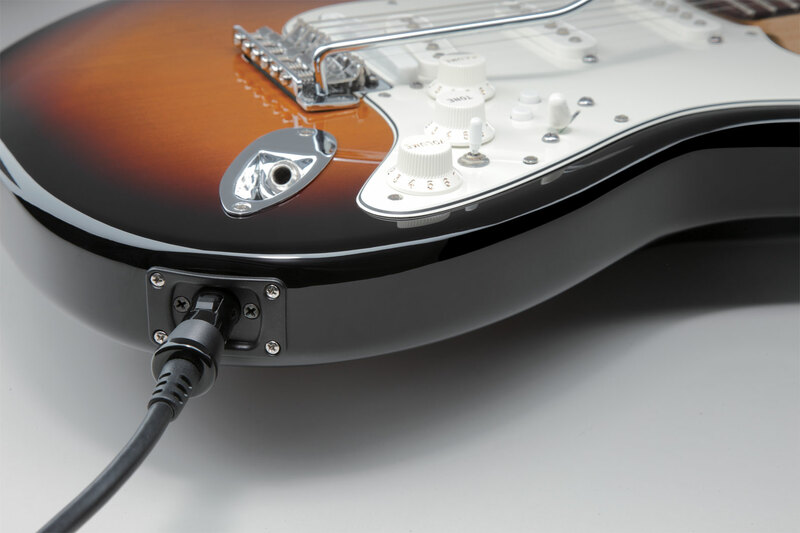 The GC-1 has divided pickup and a connector that hooks up to guitar synths, so you can make not just guitar sounds, but pretty much any sound. Do you need to do a piano part in a song? A GC-1 and a Roland guitar synth let you do it on your native instrument-no keyboardist required. For that matter, do you need any other sound for your band or studio project? Horns, organs, saxes, old analog synth tones, even basses and drums-are now yours to play whenever you want. And of course it’s still a cool Strat, so you’re still the guitar player, but now you can even combine the guitar’s own sounds with the synths. It’s like the 60’s meets the 21st century, all in one guitar. Please visit the V-Guitar website for more details about the G-5, GC-1, and G-5A V-Guitars. Watch videos, listen to sound examples, and compare technical specs. Do you like this blog post? Share on Twitter. « Give Your Singing Tone Control with the VE-5	» How Wide is the GA Amp’s Tonal Spectrum?